Blog What Are You Doing With What God Has Given To You? I was reading the parable of the talents recently which is the story of the master who gave each of his servants money to look after while he travelled. Two invested well and received a 100% return on their money whilst the third man buried his in the ground and returned it to his master who was not happy! Our starting point is to pause for a moment and remember that everything we have is from God! We should be so thankful. 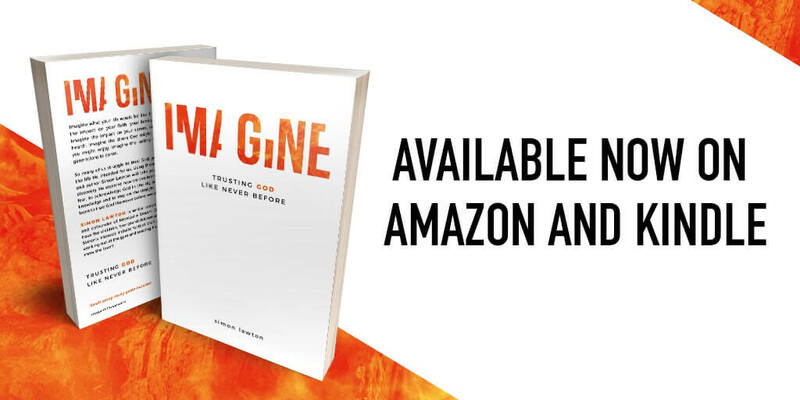 We need to grasp this – everything we are and everything we possess is God’s in the first place. In fact – every job, promotion, relationship, friend, idea, success, profit, blessing, gift & possession comes from Him too. So…. James challenges us with the reality of our situation. You and I have been given life, breath and good health (mostly!). The older we get the more we realise how quickly life passes by and how precious it is to us. So can I ask you: What are you doing with it? Are you wasting it? Are you looking after the wonderful body that God gave you? Maybe it’s time to get fit, exercise, swim, walk, lose some weight, create better habits? Seriously….what are you doing with the wonderful body God has given you? In the parable the man entrusted his servants with his wealth. Two used it well and invested it and the other buried it for a rainy day. What are you doing with what God has given to you? Are you spending it wisely or are you wasteful with the wonderful resources that God gave you for a reason – to provide for you and your family and (Yes – actually!) to help build His kingdom! The crucial thing is to set aside the 10%’s first! God will bless your generosity to His kingdom and the savings will create margin in your finances and a fund for emergencies and future plans. I can’t cook, I’m useless at ‘Do It Yourself’ and Julia says that ‘I can’t tell a weed from a plant!’ On one occasion, I successfully put up some coat hooks in our house – successful until someone decided to hang coats on it…..half the plaster came off the wall!! God told Moses to build a tabernacle and even provide a skilled tradesman…. I believe that God included this story to encourage His people to use their God given abilities in service. In our church we have electricians, plumbers, cooks, carpenters and craftsmen, musicians, singers, designers, accountants, gardeners and knitters using their natural abilities to serve God and bless others. The list of spiritual gifts in the Bible inc: prophesy, teaching, serving, encouraging, giving, leading, showing mercy, wisdom, knowledge, speaking & interpreting tongues, gifts of healing, discerning the spirits, miraculous powers, faith etc. (1 Cor. 12, Eph. 4, Rom. 12 etc) We all have at least one! 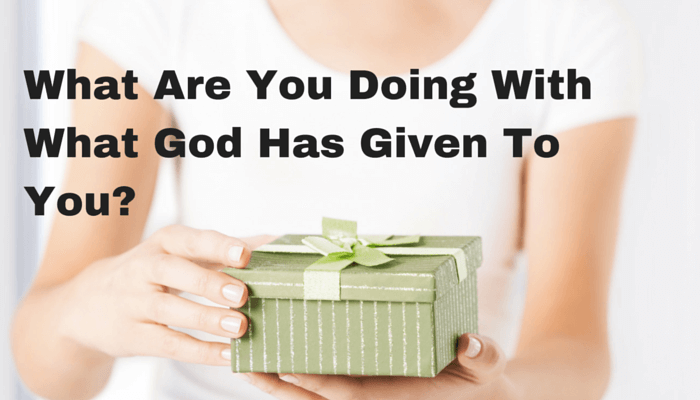 Can I encourage you to use the spiritual gifts that God has given you? 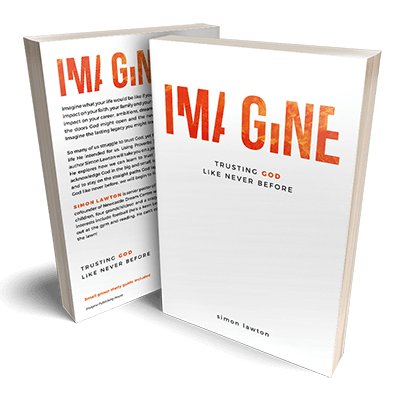 Paul encouraged Timothy to ‘fan into flame the gift within him.’ (2 Tim. 1:6). As a pastor once said ‘use it or lose it!’ It may mean stepping out in faith once again. I’ve always found that when I step out God always steps in and the recipient is ministered to and encouraged! Go for it!! God entrusts us with those things that are important to Him because He believes that we have the commitment and the gifts & abilities to fulfil what He has called us to do. He believes that we are worthy of His trust. Have you lost you your passion? Have things gone flat? Is it stagnating? Does it need fresh impetus? Is it time to re-focus? We all have 168 hours in a week. What are you doing with your time? Use your time well – how about purposely re-scheduling your week. Service – How about scheduling 10% of your time to serve God? What are you doing with the difficult experiences you’ve been through? No one can minister to the bereaved, debt ridden, single parents, divorced, hurting, rejected, betrayed, addicts….like those who have been in that place. What are you doing with the positive experiences you’ve had? No one can minister to young married couples, new parents, singles, seniors, students like those who have walked that path themselves. I want to encourage you today to make the most of your life and what God has given to you. We all get one life – one chance, one opportunity. There’s no dress rehearsal. This is it! We simply must invest ourselves in a purpose greater than ourselves. If we spend our lives selfishly – we’ll end up unfulfilled and disillusioned. Maybe you should make it yours…. This reminds me of a sermon Paul Scanlon preached: “How to live full and die empty.” Passing on what God has given to us. Great word, it’s great to see what God is doing with the Dream Centre. By the way, I’ve started my own blog after being encouraged by yours!! Thanks so much Simon. Appreciate your encouraging words and yes God is doing some wonderful things up here and I don’t believe we’ve seen anything yet. Well done for starting a blog. I love writing – just wish I had more time. I’m actually writing a book at present. Every blessing! l really blessed and motivated by your words God bless you. Thank you. Thanks Isaac. Ghana is a great country – I enjoyed visiting Accra a few years ago. God bless! How is the book that you are writing coming along?